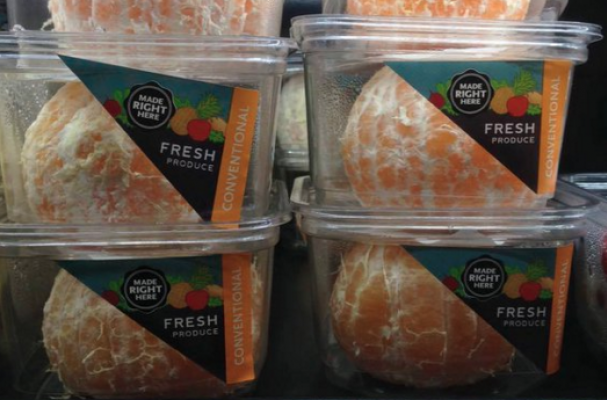 Not everyone is happy that Whole Foods decided to go back to the more “natural” packaging, saying that the pre-peeled oranges are easier for people who have arthritis and mobility issues. I am wondering if this argument is actually valid. If someone is unable to peel an orange, it’s certain that they would have trouble opening one of those darn plastic containers. As one of the comments said, “It may be a good time to keep the oranges in their peels and put up an orange peeler display.” It’s not the first time that ridiculously wasteful packaging has shown up on supermarket shelves. I found this little gem at the local market one day. Yes, I see that the reasoning behind the plastic is so one can steam the potato in the microwave, but I can assure you that as a person who has successfully microwaved dozens of naked potatoes, the plastic is just silly branding. 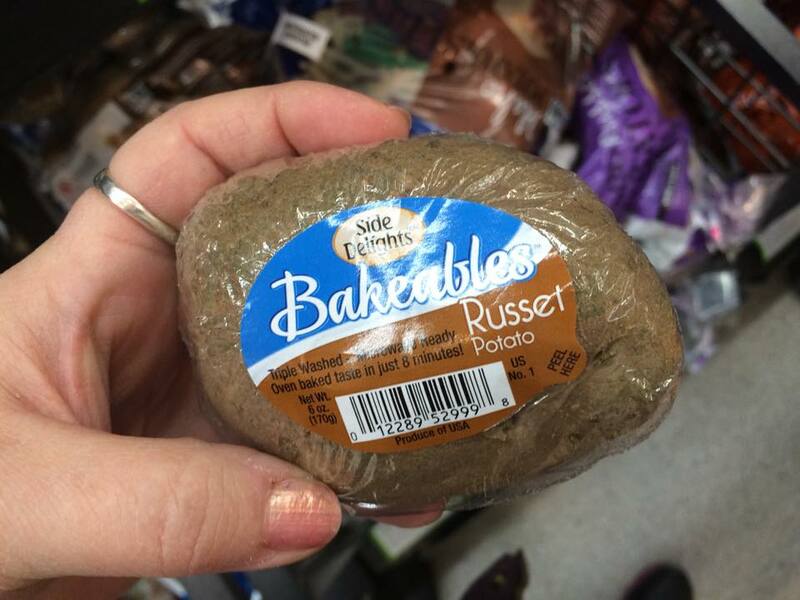 I would be embarrassed to bring up a single potato with a bit of plastic wrap on it to the checkout. Whole Foods has removed the naked oranges and replaced them with the more "boring," natural ones. Perhaps they could do what I do for my kids and make a nick in the skin, so they can get a start on the peel. It only takes a second. I am only half kidding.